A Muslim woman in Sweden on Saturday said she has received hundreds of threats and sexually explicit abusive messages after a local court ruled in her favor in a discrimination case. 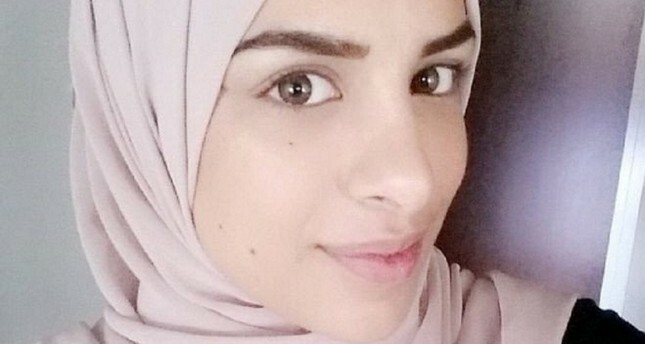 Farah Alhajeh, 24, is to get 40,000 Swedish krona ($4,366) in damages from a company that discriminated against her faith-based choices during a job interview. She became the target of threats and abusive messages after the court ruling. Speaking to Swedish state television SVT, Alhajeh said she received 500 comments and messages immediately after the court ruling was spread over the news in 20 minutes. "As the news spread, the threats and abusive messages were flooding. I also did receive support messages and comments. One support message is equivalent to 10,000 threat messages so I decided to disregard the threats," she said. She said many of the messages read "go back to your country, to Middle East." However, she said she was born and raised in Sweden. Alhajeh's job interview in Uppsala, eastern Sweden, was canceled when she refused to shake hands with the interviewer due to her religious beliefs, but instead chose to bow her head, according to a statement by Sweden's equality ombudsman.